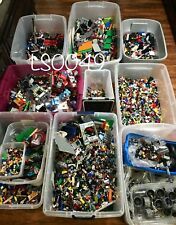 Lego Lot: 50 Slope pieces--a mix of sizes and both regular and inverted. 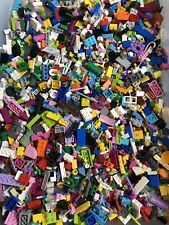 Lot of 50 Random Black Lego Sloped Pieces--see picture to see all types that may be included. Will be a mix of 1x2's, 2x2's, 2x3's, 2x4's, etc. Both roof slopes and the inverted slopes. You can buy multiple quantities depending on how many you want. 100% genuine LEGO. (22 PIECES TOTAL). New Lego Train Doors New Glass Old Light Gray Color. 2 New Lego Doors New Glass. Right Hand Left Hand Doors. OLD LIGHT GRAY COLOR. Includes NEW Glass. Lego new parts contents: X9 Black spindled Fence 1x4x2 with top studs. X2 Black spindled quarter round fence 4x4x2. 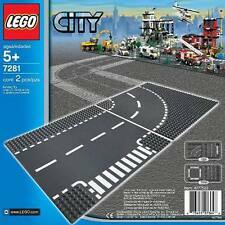 Great addition to any lego City / Friends home building play. Great specialty kit for any Lego builder. Build 4x4's, Trucks, Tractors, Cars, Vans, Trailers, Race Cars, ATV's.Your Imagination is the Limit!Excellent mix of parts, g reat addition to any LEGO collection. One Stair Piece, per lot. BLACK STAIRS. LEGO size 7x4x6. New 100% Genuine LEGO parts/pieces as shown. NEW X20 Large Dark Green leaf/limbs as shown. Ready to play. Black Bear with Dark Tan Muzzle - Two Studs. It is in sealed containers and handled only for sorting. Animals and minifigs are from sealed sets. Lego parts are not suitable for children under 3 years of age due to a choking hazard. You will receive the LEGO parts shown in the picture. This cow and horse are used, and have a few scuff marks. Horse's scuff marks are worse because it is white. All other parts are new. – LEGO pieces are intended and rated for children 5 years and up. Lot of Lego Trees and Bushes. 1 Lego 1x2 White Tile with 4 Aces, Playing. 100% Genuine Lego. Lots will vary. The Piece count will still be at least 220 but the exact make up of each lot varies. Photos of the pieces are not an exact representation of what you may receive. great parts to build houses and buildings with!! Lego 10 Pieces new City Garage / Octan Mechanic mini figures utensils Black Hand Tools Set and Red Toolbox,to get combined shipping please make sure to request a new total before payment,thank you. You will receive the LEGO Shown in the picture. LEGO parts are not suitable for children under 3 years of age due to a choking hazard. (2) 100% Lego Door, Gate, Fence, Train, Railing. You will receive 100 Random RED Authentic Legos! Each piece will be hand picked and will be randomly selected unless notified before purchasing! I have been collecting Legos now for over 25 years and have accumulated over 1,000lbs of Legos. New Lego City Train Car Wheel Bogie Plate Set. 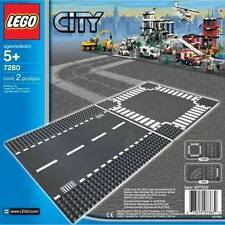 New 2 Lego City Train Car Wheel Bogie Plate Set. New ( 2 ) Lego Train Wheel Bogie Plates. 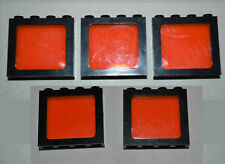 Part No 4025 fits 9 Volt / RC / IR / Lego Train Sets. Each order is for one Lego item as shown. Base plate is not included. In clean, good used condition! New 100% Genuine LEGO parts/pieces as shown. Ready to play. NEW X20 Large Normal Green leaf/limbs as shown. Oh, one last thing. Most big Star Wars sets contain lots of technic components. I also have many technic sets mixes in. And any parts you receive will have parts they can work with to do these things. LEGO Coast Guard Boat Olive Green & Gray Boat Ship Hull 62791 Clean!